The Jewish people have a debt they can never fully repay to those who risked their lives to save Jews during the Holocaust. But the Jewish state has gone some way to provide for them in their old age. In a Jerusalem apartment, an elderly woman misses a roommate like no other. Together, the two of them cheated fate and formed a bond that would make a Jewish woman and a priest’s wife inseparable. Galina Imshenik once used her status as a respectable Christian to shelter a young Jewish child, Elena Dolgov, during the Holocaust. Decades later, they ended up together in Jerusalem. A set of three pictures on the wall of their apartment tells two life stories and one shared fate. There is a picture of the village in Belarus where Galina and her husband protected Elena throughout the Holocaust. There is a picture of St. Petersburg, where Elena lived afterwards. And there is a picture of Jerusalem, which the two women made their home in 1992. During the war, Galina and her husband looked after Elena’s every need and even taught her to treat them as parents. Elena’s habit of speaking Yiddish was dangerous if other people were around, and the couple’s determination to teach her Russian saved her life when the Gestapo questioned them and left with the impression that Galina and her husband were Elena’s biological parents. 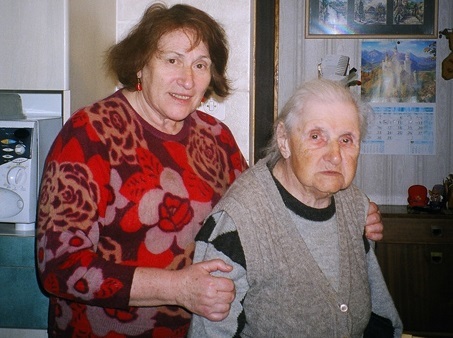 Six decades later, Elena looked after Galina’s every need, nursing her through a long illness until her death in 2011. Around 130 people have come to Israel via this unusual route, and the state treats them with reverence. 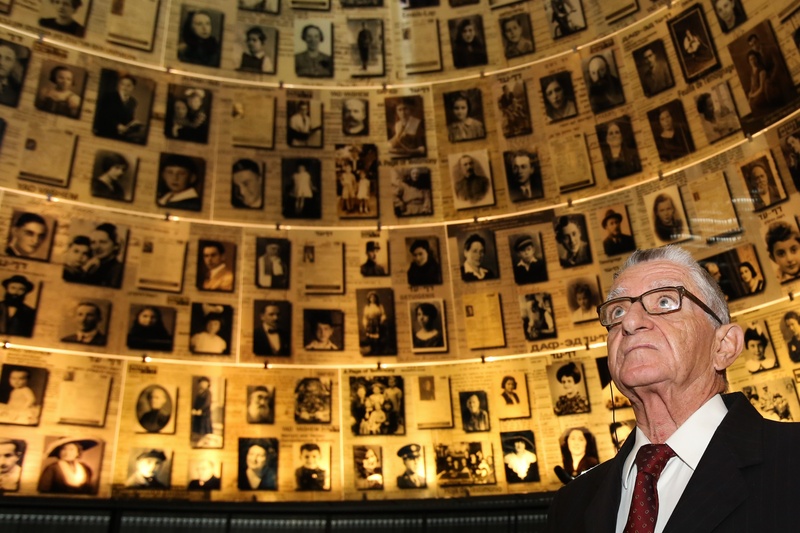 The poverty of Holocaust survivors is a source of constant controversy, but those classed as righteous among the nations receive the country’s average salary as a monthly stipend from the government. Today, only 13 are still alive. In the northern Israel community of Kiryat Tivon, one wonders what Robert Boissevain would have thought if he saw his daughter living here. His decision to hide Jews for two-and-a-half years during the Holocaust cost his children dearly. They didn’t just go hungry, watching their food shared with the fugitives, but they were also told not to play with or even talk to other children, lest their secret slip out. But none of this bothered Robert’s daughter Hester, who decided in her adulthood that she wanted to help the Jewish people once again. In the early 1960s, the 27-year-old Hester, a newly-qualified nurse, bought a one-way ticket and boarded a ship to Israel. “I thought that I can go somewhere with my profession, and remembered that in 1948 lots of refugees were going to Israel and I recalled pictures of thousands of immigrants arriving in Haifa,” she says. Looking back on it now, she says it wasn’t only about wanting to help, but also about finding a place where she felt comfortable. Hester lost a great deal in the war. Her home was destroyed and her family’s wealth confiscated. Her father Robert was a fearless resistance fighter who ended up in prison and then in the concentration camps. He collapsed and died moments before liberation. In the young Jewish state, she certainly found an antidote to over-organization. 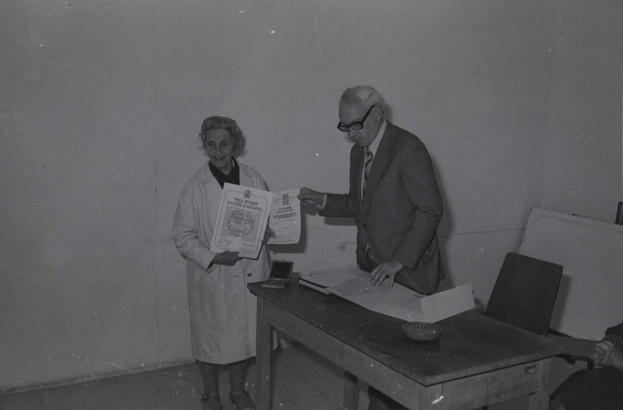 Arriving on a kibbutz to take up her first position as community nurse, she found chaos in the clinic, “even discovering medicines and bullets in the same jars.” Within days she had the place ship-shape, and was working far more than the required hour a day, offering counselling to “troubled” young people. She was soon cycling to two other locales to provide medical care and working in a hospital. She toiled 16 hours a day at four jobs until she moved to Kiryat Tivon and took a community nurse position in the mid-‘60s. When she retired after decades in nursing, she made another contribution to Israel, opening a cafe near her home that was operated entirely by people with disabilities. It made people rethink their relationship to disabled people, and gave its staff new skills and confidence. She helped to run the establishment until it closed two years ago. The plethora of stories in Hester’s family defies belief. There was the aunt who saved dozens of Jewish babies by carrying them away from the Nazis one-by-one in a backpack, and the banker uncle who managed to siphon off Nazi funds and pass them to Jews in hiding. And, of course, the story of her own parents and siblings. Their role as rescuers began one afternoon in March 1943, when Hester’s father phoned her mother Helena asking her to prepare dinner for guests at the Haarlem house where the family lived. That night, the Goldbergs arrived. They were an elderly couple and a daughter aged almost 30 from Russia who had come to Holland through Finland and Germany looking for safety. “They came for dinner and stayed for two-and-a-half years,” recalls Hester, adding that for some of the time the family also sheltered a Jewish dentist. Their neighbors were Nazi collaborators, heightening the need for effective subterfuge. Hester’s father was fighting with the resistance, and her mother had to scrounge for food, devise plans for when soldiers called, run regular surprise drills, and preserve peace in the tense household. She sometimes served tulip bulbs instead of potatoes, and often cycled up to 75 miles—usually on metal wheels un-cushioned by tires—to find food. 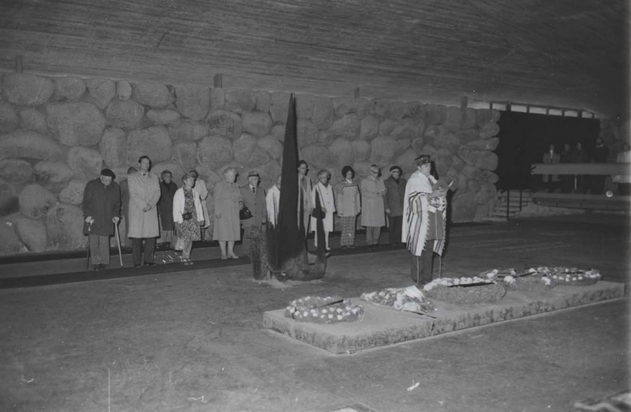 Some righteous among the nations developed personal connections to Jews before or after moving to Israel, and even converted to Judaism. Hester fell in love with a Jewish man on a kibbutz, married him, and opted for conversion “for the sake of our kids.” Other children of the “righteous” ended up marrying Jews. But the right of the “righteous” to live in Israel is automatic and does not require conversion or Jewish familial connections. Many of them have not changed their beliefs and traditions since relocating to Israel. Jaroslawa Lewicka told her story for this article a few days after Christmas, which she celebrated at a church near her home in the northern Israeli city of Haifa. She took part in services and a festive meal. It was a pot-luck affair, but she feels the need to point out, for the sake of full disclosure, that she didn’t make anything. Her fellow congregants forgave her, since she is, after all, 81 years old. For decades, Jaroslawa lived under a communist regime that suppressed religion. The city where she lives now is quite a contrast, home to an annual multicultural winter event called Festival of Festivals. “Now I live in Haifa, which is a city of three religions, Judaism, Islam, and Christianity, and I go to a church with a priest who prays in Ukrainian, and no one bothers us,” she says. Jaroslawa arrived in Israel in very different circumstances than Hester. It was economics, not idealism, that brought her here. In 1989, a man she helped save, Avraham Shapiro, invited her to visit Israel, to meet him after five decades, and to visit Yad Vashem where she would receive a medal as a righteous among the nations. She recalls: “When I was here people started asking me about the economic situation back home and it was very hard, especially as my parents had just died.” She started to find out about state programs that help the “righteous” relocate to Israel, and found that there was only one thing standing in her way: “I couldn’t afford the airfare.” Shapiro stepped in to cover the expense. She believes it was Christian faith that pushed her family to hide Jews in their home, help Jewish refugees, and take food to the ghetto of Zloczow near their home. “It’s the Christian faith that motivated me and my mother and also concern for our neighbors,” she comments. She was only five or six when she started making grocery runs to the ghetto, wearing a backpack with food buried under notepads and schoolwork. She would slip in through a gap in a barbed wire fence. Later, when the gap was closed, she would brazenly enter through the gate when guards weren’t paying attention. “Of course there was fear, but the Germans never hit [non-Jewish] children,” she says. This is why she took responsibility for the food drops: Her mother had been spotted and beaten. Yael Rosen, one of the most dedicated volunteers helping the “righteous” with home visits and phone calls, finds Peotr Sanevich’s biography one of the most moving. “It’s a story of a deep bond that was rediscovered so many years later,” she says. For Peotr, moving to Israel was a case of repaying hospitality. He constructed a secret hiding place for two young Jews who arrived on his family’s farm in the Ukraine after narrowly escaping death. He knew what could happen if he helped them: An entire family from a nearby house had been burned for sheltering Jews. But for two years, he and his family kept young Buzya and David safe. Peotr heard nothing from the Jews he saved for almost five decades. After the fall of the USSR, however, he started making enquiries. In 1993, the Israeli ambassador to the newly independent Ukraine got Peotr back in touch with them. 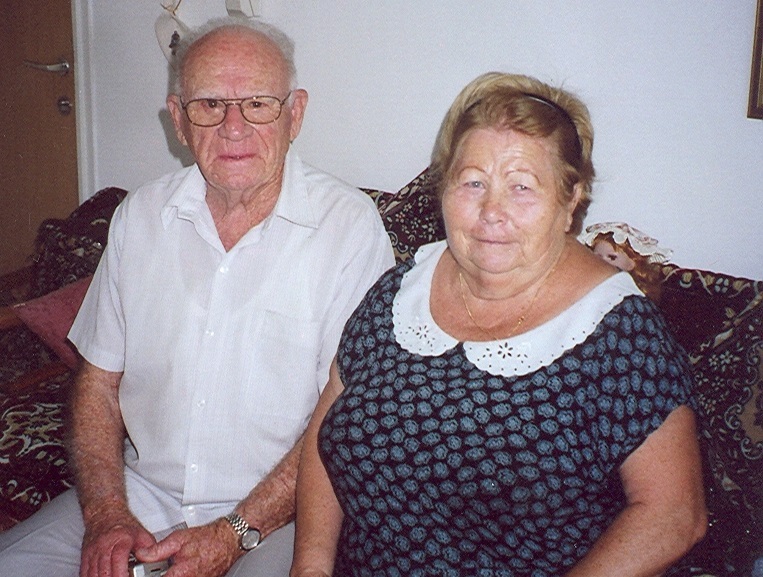 David suggested that Peotr move to Israel and he did, together with his wife Olga, and Rosa, the youngest of his six children. They chose to live in David’s city, Beersheva, in order to be close to him. The Negev also became the unlikely home of two other rescuers. Deep in the desert lies Yeruham, a small city dominated by the families of Jewish immigrants from Morocco and India. Among them lived Yekaterina Movchan-Panchenko and Galina Panchenko, two Christian widows whose first encounter with Jews came in the 1940s when they helped save two Jewish children from the Nazis. The mother of seven-year-old Pavel and one-and-a-half-year-old Nina had already been murdered by the time they arrived at the Panchenko family home in what is now the Ukraine. Yekaterina and Galina were just 19 and 11 respectively, but they sprang into action and helped keep the children safe, fed, and healthy. Police came knocking twice, demanding to see the children, but Pavel and Nina were hidden in the cellar. After surviving the war, the two children stayed in Krivaya Ruda, where they became parents and grandparents. 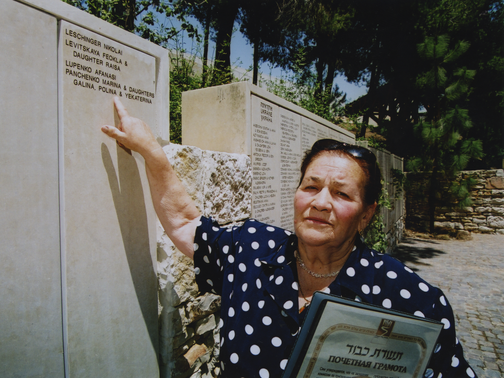 But history took Yekaterina and Galina elsewhere, and shortly after the fall of the Soviet Union they moved to Israel and put down roots in Yeruham, where they lived until they died a few years ago. No family knows the reality of this common fate better than the Shuranis. Tzipi Shurani’s parents met under the most unlikely circumstances: Her father was a Jewish prisoner in a Nazi labor camp and her mother lived in a house next door to the fence. Latzi Shurani had already promised himself that he would marry Irena Csizmadia when the two of them dug their way towards each other, fashioning a tunnel that ended in the Csizmadia basement, through which he and more than two dozen other prisoners escaped. They did marry, and lived together contentedly in the Galilee. But when the second of two Hezbollah rockets hit their home during the Second Lebanon War of 2006, Irena suffered a serious stroke and the active golden years that the pair were enjoying were suddenly torn away from them.